Ahh business cards. The age-old method of sharing contact information and business details after having a discussion with a total stranger. Whilst everything is going digital, many human interactions still remain physical (luckily) – and it’s often easier to trade a piece of paper than to awkwardly fumble on our phones trying to store the other person’s details. The only downsides of business cards is following up. If you have a boring business card, you run the risk of the person you gave the card to forgetting or discrediting your interaction. Is it a Swiss Army Knife, or is it a business card? Why not both? 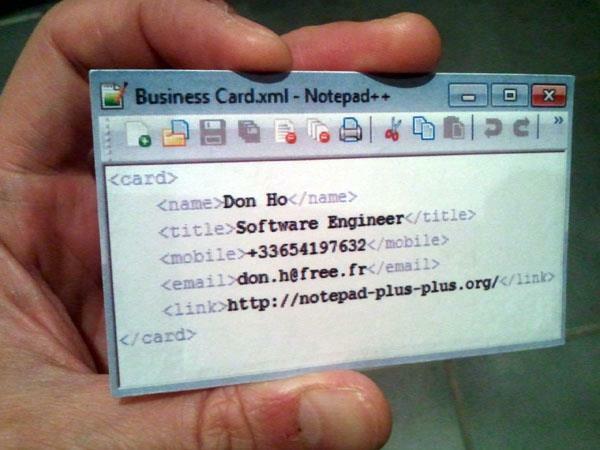 Don Ho, the creator of popular text editor, Notepad ++ creatively designed his business card to represent the software he developed. Mimicking an XML document, his personal details are stored in between tags. 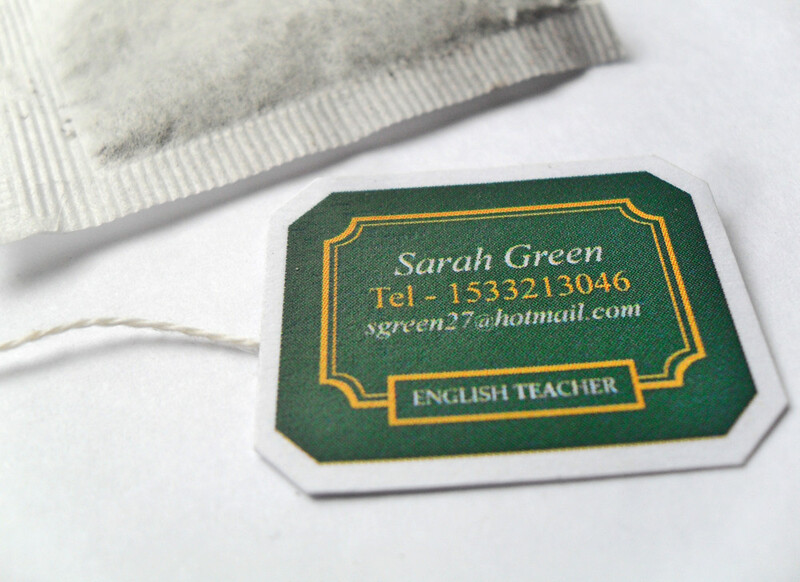 Creative agency, ForthCreative designed Sarah’s interesting teabag business cards – playing on the fact that she was English and that the word “teacher” starts with “tea”. View more photos and read the full story about how the card came to be here. 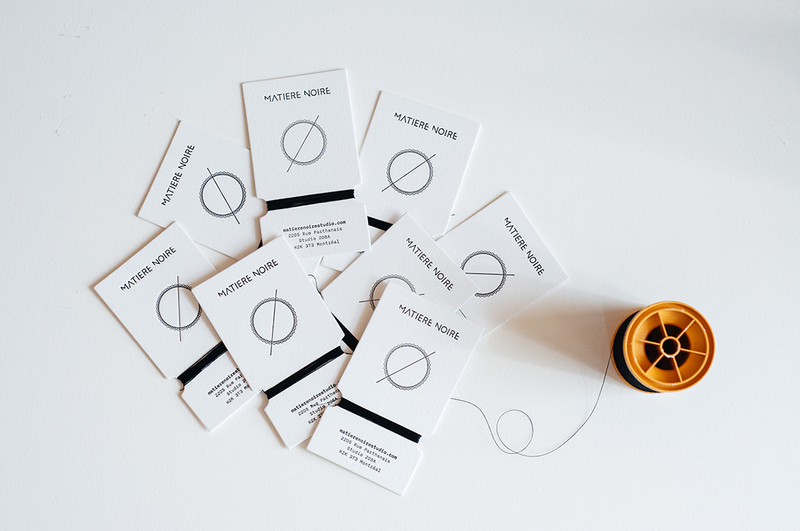 This is a business card with a purpose. Providing more than just a phone number, pool service clients can dip the card into their pool to determine whether or not their pH level is balanced. If not? Then flip it around and give the guys a call! It’s a cotton pad with a twist! Suiting for a dermatological company. 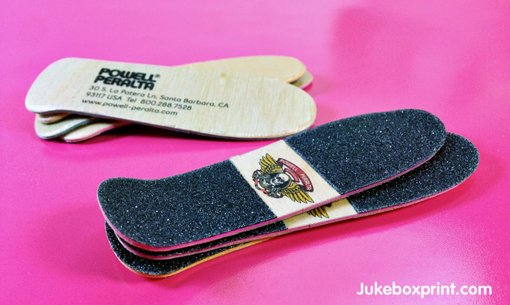 Designed to resemble a skateboard, Jukeboxprint ingeniously created these wooden business cards.